Alien on Toast: Wore it Wednesday: a pop of blue! Wore it Wednesday: a pop of blue! Just an eyeball for ya today. I jazzed up a neutral eye with a pop of blue. 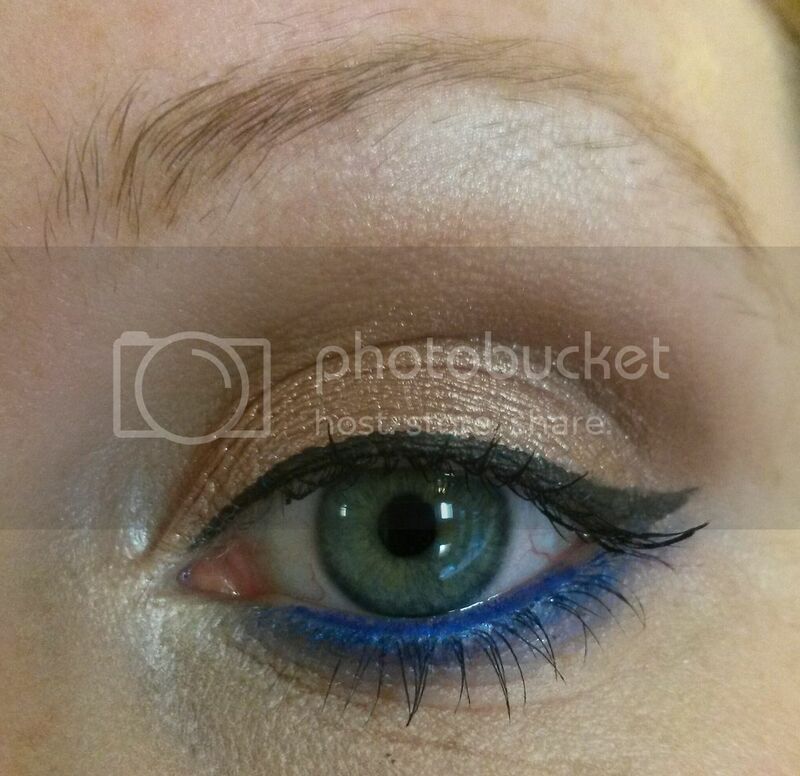 The blue on the waterline and lower lash line is GOSH's velvet touch eyeliner pencil in Sky High (I think!!) set with Sugarpill's Chromalust loose shadow in Royal Sugar (<3!! ).